The year is 1998. The Big Lebowski is currently in theatres. The Goo Goo Dolls’ “Iris” dominates the airwaves. Michael Jordan has won his sixth NBA championship as a member of the Chicago Bulls. The Internet is becoming more than just a novelty in homes across America; it’s a treasure trove of information—although poorly organized. A fledgling tech company arrives on the scene with grand plans to create order among the chaos within rapidly expanding universe of the World Wide Web; Google is officially open for business. Congratulations—that’s it. You just became the ‘affordable running shoe’ baron overnight and hardly broke a sweat! That’s a pretty sweet deal for anyone operating a business online, but what about the average user? In this scenario, the first website a user sees in the search results for ‘affordable running shoe’ may not even sell shoes! How long are consumers willing to tolerate that kind of thing? When your business, and by extension your website, doesn’t operate the way someone expects it to, it results in a frustrating experience—an experience that drives people away over time. We call these pain points friction, and our goal should always be to have a clear, straightforward path to conversion with as little friction as possible. 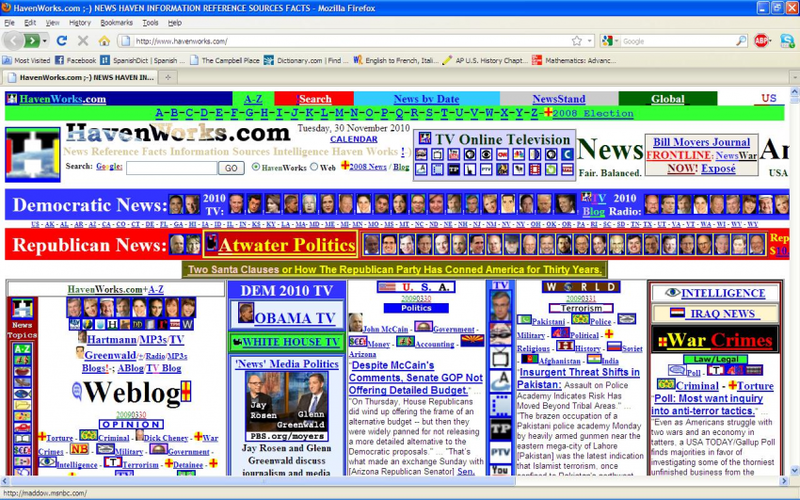 Sure, 1998 had its upsides—it was way easier to rank a website—but search results were a mixed bag. Google’s algorithm lacked the sophistication to rank websites for their ability to provide a good user experience but that’s no longer the case. UX doesn’t just share a few commonalities with SEO—UX is the smarter version of SEO. Nielsen Norman Group defines user experience (UX) as encompassing “all aspects of the end-user’s interaction with the company, its services, and its products.” Of its many definitions, that’s a rather broad take on UX, so let’s unpack that a bit. What is the user’s motivation for visiting this website? What action does the business/website want the user to take? How much work do users have to do to get what they want? Can they do less work to achieve the same result? Considering the above, you can probably guess UX has a lot to do with psychology. Users have complex minds loaded with unique triggers for registering positive and negative responses. If your goal is to create a positive experience for users with your website, you’ll need to do a great job of anticipating their feelings and motivations. UX isn’t guesswork—it requires rigorous user testing. Your findings should be based off data—not intuition. You’ll need to conduct enough tests and accumulate enough data to uncover actionable results. One of the greatest challenges with UX is removing yourself from the equation. We’re tremendously biased when it comes to our own brand and industry—we assume users know what we know, users want what we want. Never assume anything about users—let the data tell you everything. A good understanding of UX will streamline your success with SEO. SEO (Search Engine Optimization) is the process of funneling traffic to your website from organic results within search engines. Anytime you search, the results are generally divided into paid and non-paid listings. Look closely at a portion of the first page of search results for men’s shorts. The top result is an ad—the bottom result is an organic listing, the bread and butter of SEO. An SEO Analyst’s job is to help a website rank for relevant keywords among those organic listings, which requires a serious investment of time, money, and patience. Virtually all traffic for any keyword will occur on the first page of search results—that’s why so many businesses are willing to pay for ads for that kind of real estate. PPC, or pay-per-click, is essentially the expressway of search advertising—you pay a price for immediate exposure. SEO is more like taking the scenic route; it may take you months before you reach your destination at the top of search results. So, how do you make a website rank in organic search? Rank is primarily controlled by factors that exist on and off your website, often referred to as onsite and offsite SEO. Onsite SEO considers important elements within your website—things like site structure, HTML, title tags, meta data, and content. Offsite SEO mainly considers backlinks—also known as inbound links, links pointing to your website from outside sites. To this day, backlinks remain the most critical ranking factor in SEO—links from reputable, relevant sources provide Google with a professional endorsement of your website. Google relies on backlinks because they’re difficult to manipulate. So, how do you capture more backlinks and improve your SEO? Generally, we’re finding sites that provide quality UX attract more attention and subsequent links. Google’s algorithm used to rely on superficial factors like keyword density to rank websites; it’s now advanced enough to consider how efficiently a website can answer a search query—and rewards those websites accordingly with a better position in search results. Rewarding websites for UX is improving the experience people have using Google too. We generally want to find what we’re looking for in as few clicks as possible. If I search something in Google and the first result I see is relevant AND efficiently answers my question, that’s an awesome user experience—one that will keep me coming back time and again. There’s a few key principles of UX that directly impact your success with search engine optimization. Optimizing these areas of your website will provide a better experience for your users, and ultimately, improve your visibility in organic search over time. What’s the longest you’ve waited for a website to load? If you’re like most people, you probably don’t have the patience to wait much longer than 3 seconds for a page to render. Efficiency is a cornerstone to UX—guiding users down the path of least resistance. Technical components of your website, including page speed, play an integral role in delivering a positive experience and directly impact how you rank in organic search. How does your website measure up on speed? Google’s PageSpeed Insights can give you a quick diagnosis and advice on how to correct any glaring errors. Ultimately, you’ll want to get this information in front of your development team. What makes your content “valuable” can be hard to pin down, but an easy way to think about it is whether it does what people expect it to do. Does your content simply exist to take up space and pander to Google with a few choice keywords—or does it provide utility to your audience? 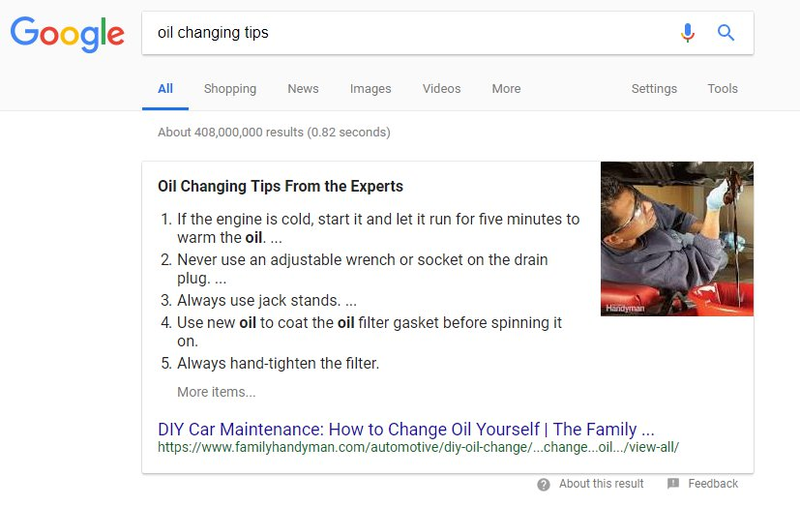 If I search for something like ‘changing oil tips’, your content needs to clearly and concisely guide me through that process. Legibility has a major influence on UX. In the example above, the content has a clear heading and is formatted into a numbered list, ensuring the instructions are easy to digest for someone who has no idea how to change their oil (me). I get exactly what I need from this content and don’t need to waste time looking elsewhere—that’s a great experience. Content has long been regarded as an important pillar of SEO—be that as it may, it’s an area many websites overlook or completely disregard. Content is more than just filler; you need content to engage users and provide real value if you want to improve your search result rankings. Consider the oil change example above. Let’s say this article successfully teaches me how to change the oil in a car myself—that’s valuable. When people deem something valuable, they’re inclined to share it. The more often something is shared, the more likely it is to receive links—and those links (known as backlinks) just so happen to be the most important ranking factor in SEO. Great content isn’t a direct approach to netting backlinks, but keep in mind: people are less likely to link to pages with recycled, low-quality content. Take an objective look at your content and measure its effectiveness. Do people share the page if they’re supposed to? Do they make the intended conversion, like signing up for a newsletter? Consider other measurable factors like Pageviews, average time on page, and bounce rate. 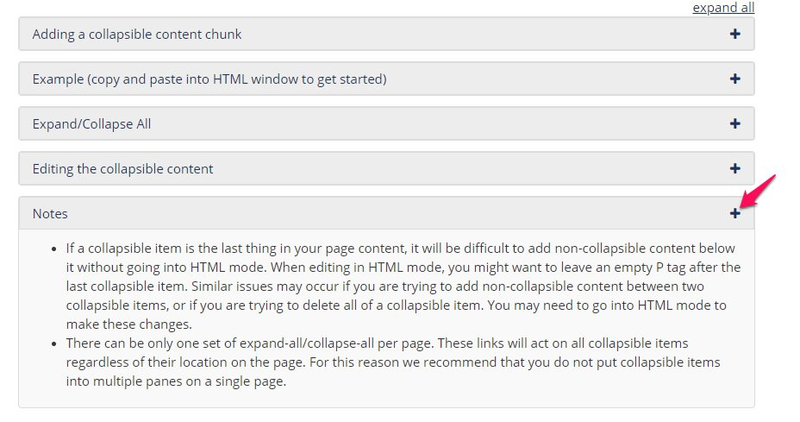 Formatting your content and making it more legible also has SEO implications. Your content should follow a natural hierarchy of headers—H1 at the top, H2s to separate portions of your content, so on and so forth. Google crawls those elements of a page to interpret its content, using those findings to determine whether it’s relevant to a search query. To be clear, keyword-rich headers are still a minor ranking factor. Google used to shy away from content hiding behind tabs, like the example below. Google used to view this kind of ‘hidden’ content as borderline deceitful, so it was generally perceived as a negative ranking factor. They’ve since reversed that policy. Why the change of heart? Google understands tucking away large portions of content behind tabs can improve the overall user experience—particularly on mobile devices—making the page easier to read. This is yet another recent example of Google siding with UX when it comes to ranking websites. Your site structure and navigation can make or break the user experience. If I can’t easily find the information I want on your website, I’m leaving—I barely had the patience for it to load in the first place! Consider navigating through this headache below. Where do you even start untangling this mess? My natural line of sight has no idea where to look because there’s a million different things going on within the page. That’s an extreme example of poor UX, but far too many websites have navigations guilty of one thing: making users think. Optimizing your site for efficient navigation does more than help users—it helps Google. You’re more likely to receive sitelinks for your website if Google can easily crawl your website. Sitelinks are secondary links to key pages of your website that appear below your website in search results, providing more valuable real estate; the more real estate you occupy on the search engine results page, the more likely you’ll receive those valuable clicks and visitors. 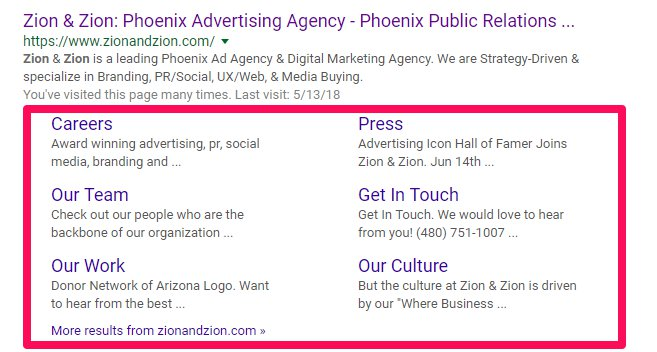 Sitelinks are generally triggered by branded search queries, instances where it’s clear someone is looking for your business—‘Zion & Zion’ in this case. They’re especially helpful to users because they can jump right to the page they’re looking for sometimes, like a potential client wanting to view Zion & Zion’s portfolio of work. Just FYI, sitelinks are automated—meaning you can’t choose what appears. If the pages that show up in your sitelinks aren’t relevant—or you’re missing sitelinks altogether—you may need to consider restructuring your website. Google doesn’t just want to provide relevant search results, they want to provide optimized search results that are tailored to your device. To that end, mobile-friendly web design is a critical ranking factor as the majority of search is conducted from smartphones and other mobile devices. Test your website to see how you stack up on mobile. Optimizing your website should be a top priority for you, should you receive a low score. UX has an undeniable influence on SEO, an influence that will only grow stronger over time. If ranking your website is a priority for you or your business, then it’s time to start investing in creating a better user experience.